Luis Vargas, founder of ModernAdventure.com, talks with us about tranformative travel, curated experiential travel, and how his vision for a new type of travel company will help travelers connect with the intersections of art, music, food, culture, history, design, and fashion on a truly local level. 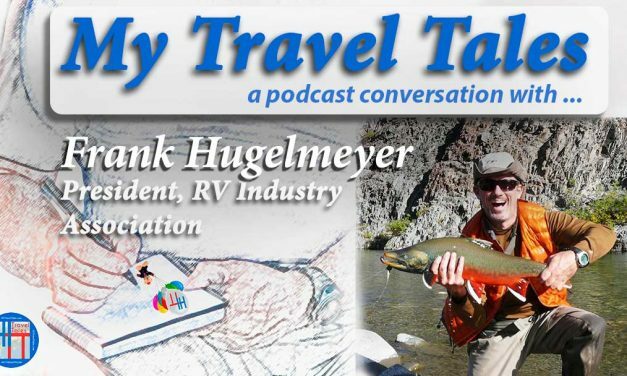 It doesn’t take you very long to determine Frank Hugelmeyer is pretty comfortable traveling to exotic places. Apparently, that’s what happens after spending your childhood on a sport fishing boat and then 30 years or so promoting the sporting goods, fitness, outdoor and RV lifestyles across the globe. 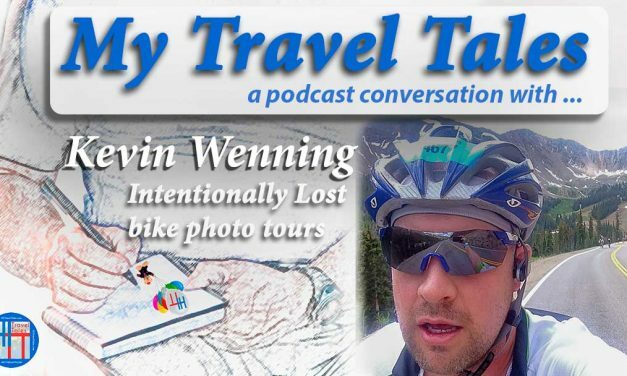 Kevin Wenning is our guest on this episode of My Travel Tales. Kevin decided to create his bike photography tours when he couldn’t find a cycling vacation that catered to photography enthusiasts. You’ll hear about bike touring with cameras, and four tips you can use right now to make any photo better on any trip you take. And what does this experienced bike guide and photographer always pack with him where ever he goes in the world? Listen in to find out. 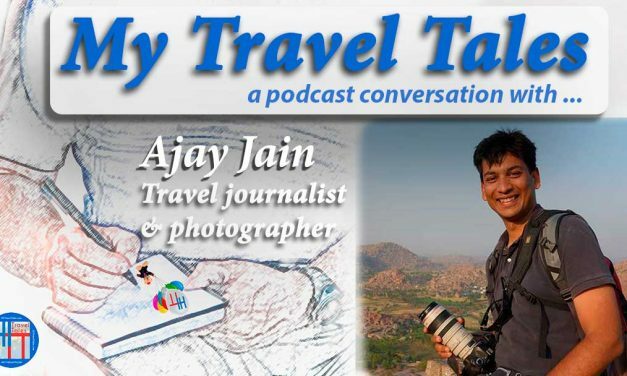 Ajay Jain is our guest on this episode of My Travel Tales. In the summer of 2007, with a camera and notebook in hand, Ajay left behind a corporate career for good and began driving, eventually ending up in Kunzum La (a very remote pass in the Indian Himalayas). He was so taken by the destination he named his business after it. Since then, he has been traveling all over India, and also covering a fair amount of the world, chronicling his journeys in blog posts and in his photography books. You’ll hear all about his beloved Indian Himalayas and much more in our conversation. 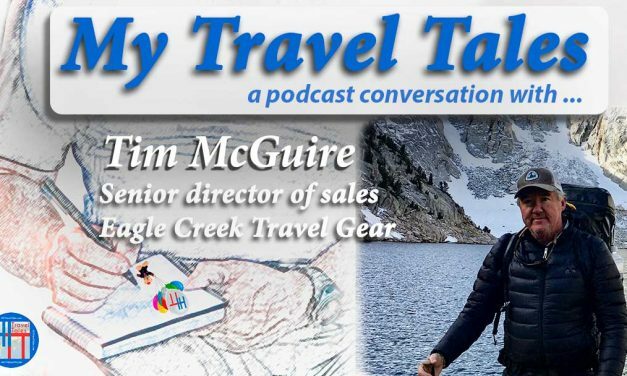 Tim McGuire is our guest on this episode of My Travel Tales. Listen in to find out how the search for an easy college class while playing Division 1 soccer at San Diego State University led him down a path of adventure, travel, and now as part of the executive team at Eagle Creek. 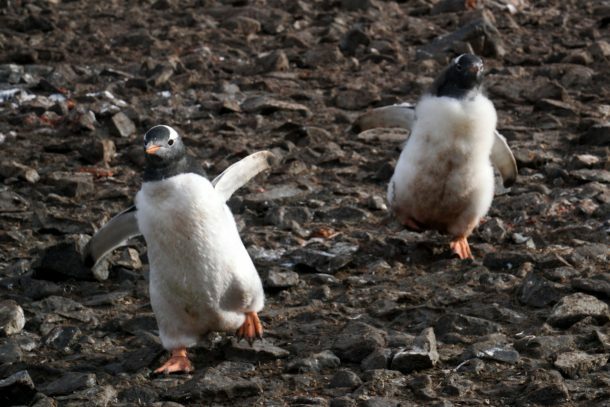 Learn too why even an experienced world traveler like Tim can end up in the wrong country while simply trying to get back to his hotel. And what does this experienced adventure traveler always pack with him where ever he goes in the world? 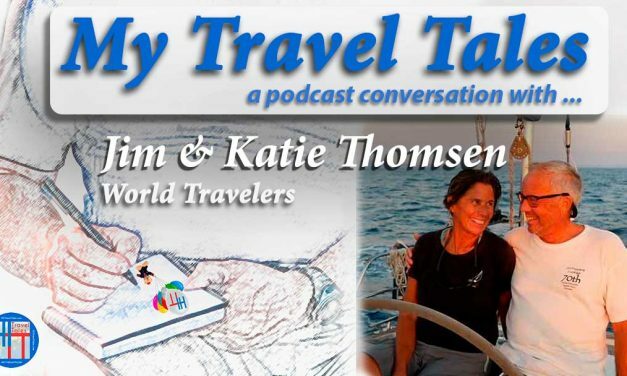 Katie and Jim Thomsen were living in Antwerp, Belgium when Katie returned from a kayaking trip off Vancouver Island, British Columbia and announced, “I could live on a boat.” That started a path of global adventuring that hasn’t begun to slow down yet. Listen in to our podcast to learn more. 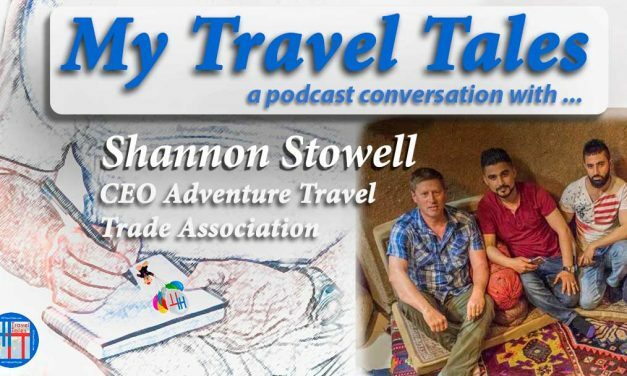 Shannon Stowell is our guest on this episode of My Travel Tales. 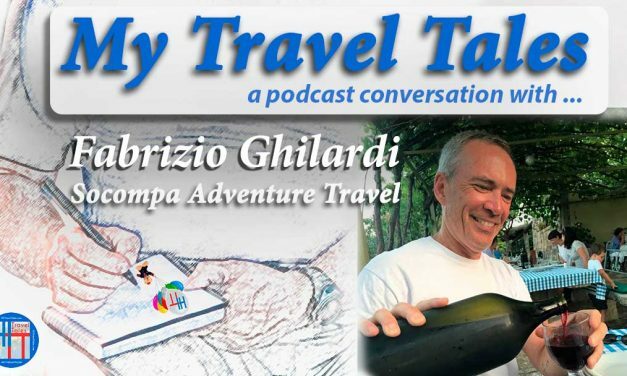 Listen in to find out why Shannon decided to buy the Adventure Travel Trade Association in 2004, why he feels a deep connection to Kurdistan, what place he has dreamed of since childhood but has yet to visit, five things he always travels with, why a visit to Barentsburg on Svalbard in Norway was surreal, and a few surprises including the “hot chili pepper incident” at an ATTA event. 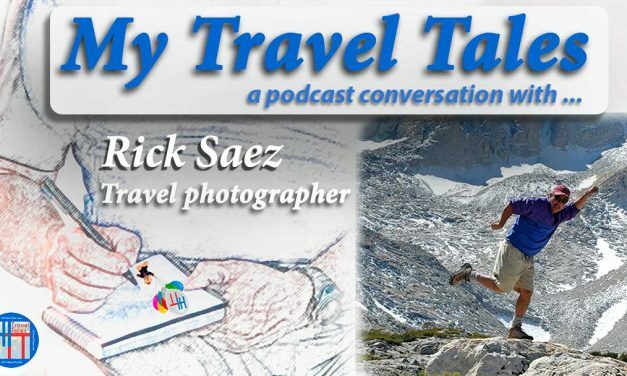 Rick Saez, adventure travel photographer and host of the Outdoor Biz Podcast is our guest on this episode of My Travel Tales. 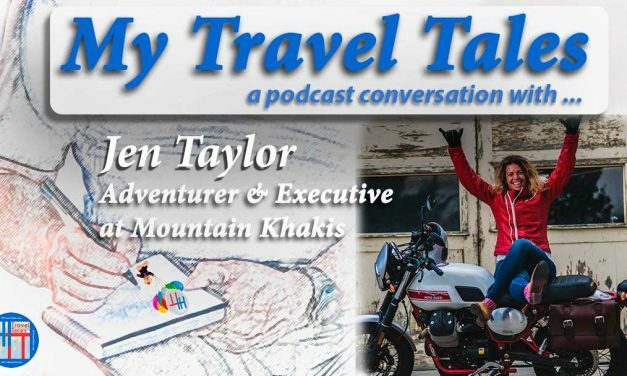 Jen Taylor, brand manager and director of creative development for Mountain Khakis is our guest. Learn about Grand Junction, her favorite travel destination, riding motorcycles, how a fish taco inspired her next great idea, and five things she always travels with. 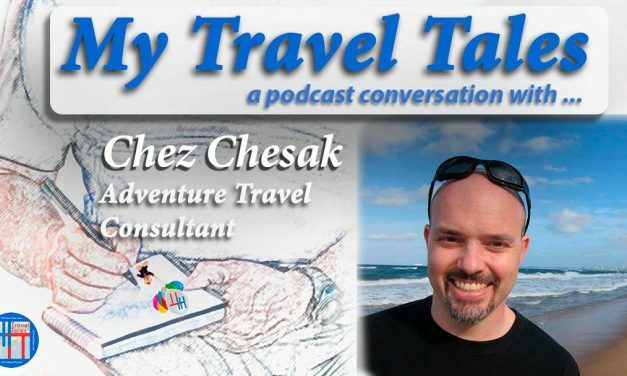 Chez Chesak is our guest for the first episode of My Travel Tales. 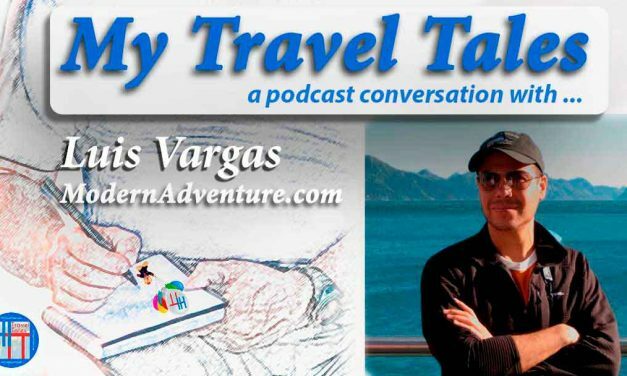 Hear about a travel fail that turned out well, what inspired him to be the traveler he is, and what five things he always carries with him — pants are thankfully one.